Caretaker Landscape & Tree Management, headquartered in Gilbert, Ariz., expanded to Tucson, Ariz., and Denver. The company now offers construction and maintenance work to commercial clients in those areas. It will try to maintain its current service split of 60 percent construction and 40 percent maintenance to an almost exclusively commercial client base, according to owner Matt White. “Construction contracts are larger, but maintenance is the key to long-term success.” he said. Caretaker was pulled to Tucson by existing client relationships. The same was true with Denver; however, White also noticed a strong market with room for another contractor. “After the market soured, I looked at what markets stayed strong, and Colorado was one of those markets that emerged in good shape,” White said. 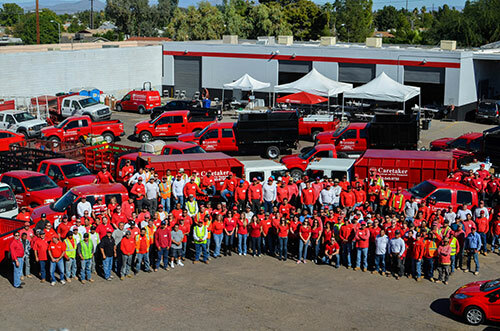 Initially, to instill the existing company culture, Caretaker will pull some of its approximately 300 employees from its existing locations and place them in Tucson or Denver. The company will hire locally as it grows. One concern in the Denver area is a shortage of labor. Caretaker, which is celebrating its 27-year anniversary, has annual revenue of about $25 million. White believes the company can get about another $5 million in Denver and another $1 million to $2 million in Tucson in its first year.